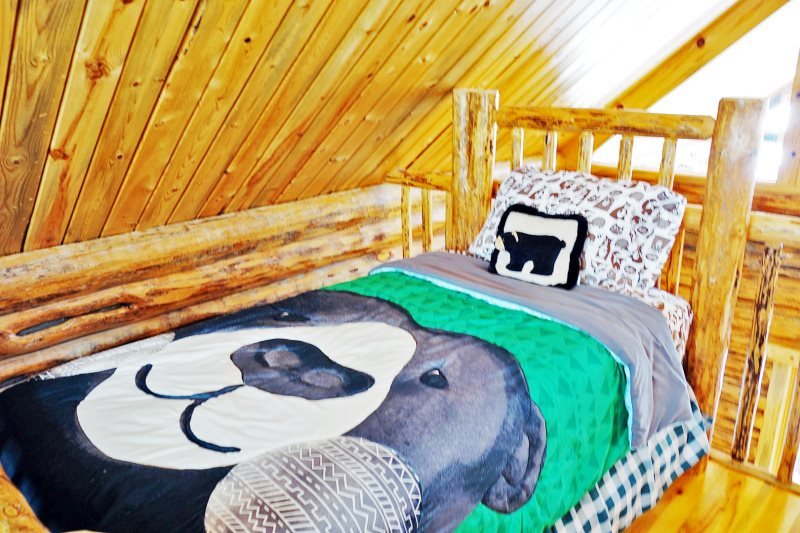 Start your Montana adventure at Bear Den Cabin! 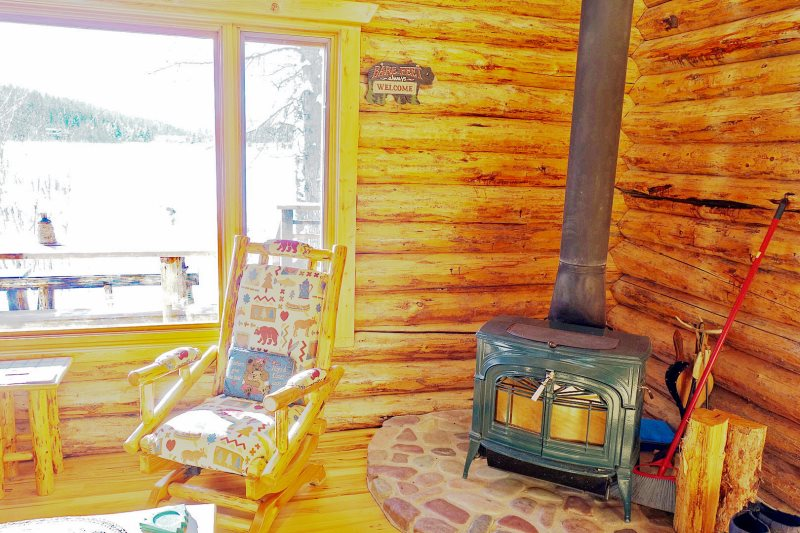 The cozy log cabin is located four miles from Whitefish and sits in a private lakefront setting on Skyles Lake. 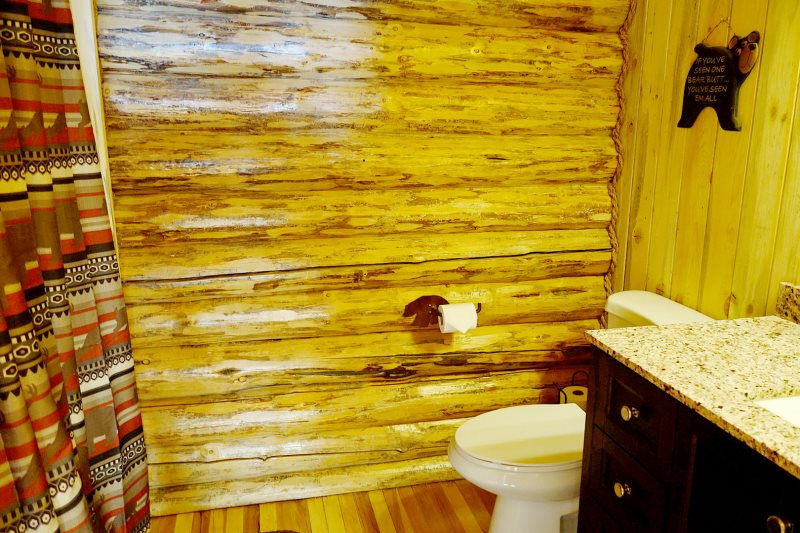 You may enjoy waking up to the loons on the lake in the mornings or perhaps the ducks while watching the sunset. Skyles Lake is a small lake, and allows small boats only and may be accessed from the private dock. This is a great swimming hole but there are no sandy beaches or rock bottoms. Fishing, canoeing and paddle boarding are all lovely on Skyles Lake. 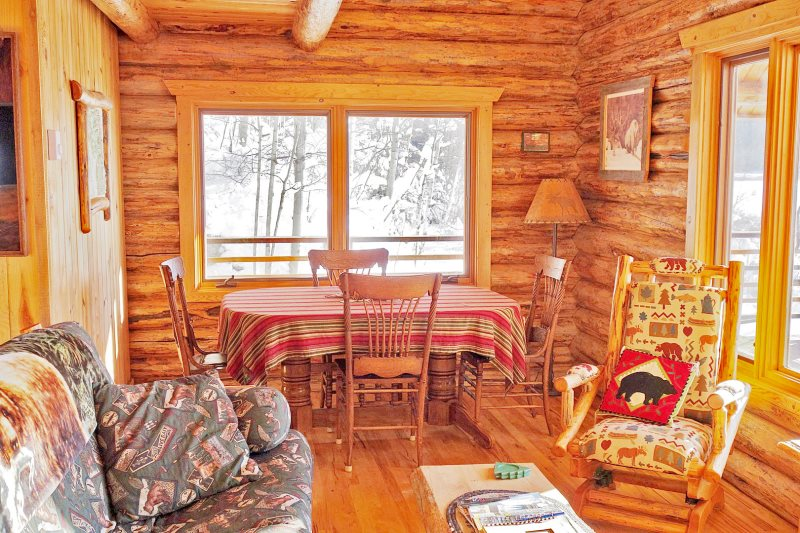 The cabin sits on 40 acres and there are two different accesses to the Whitefish Trail which crosses the property. You can hike, walk and bike right out the front door! There are several other small lakes to explore as well. 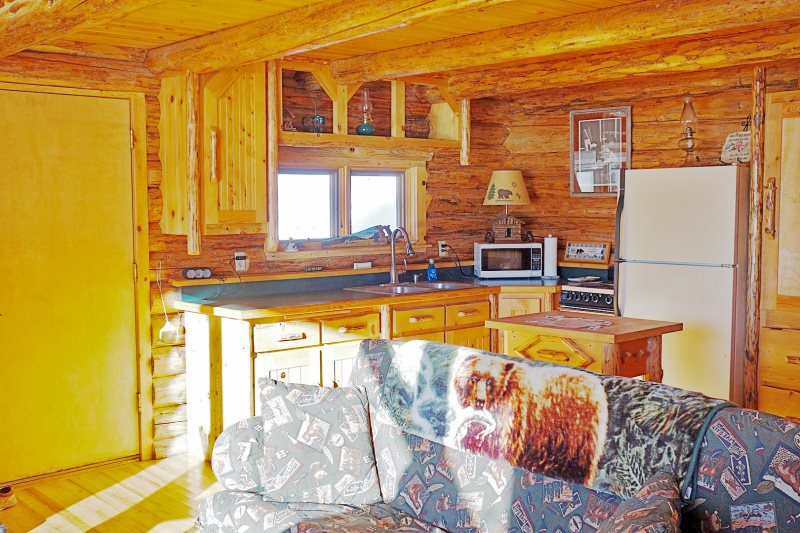 The inside of the cabin's main floor features the living area and full kitchen. 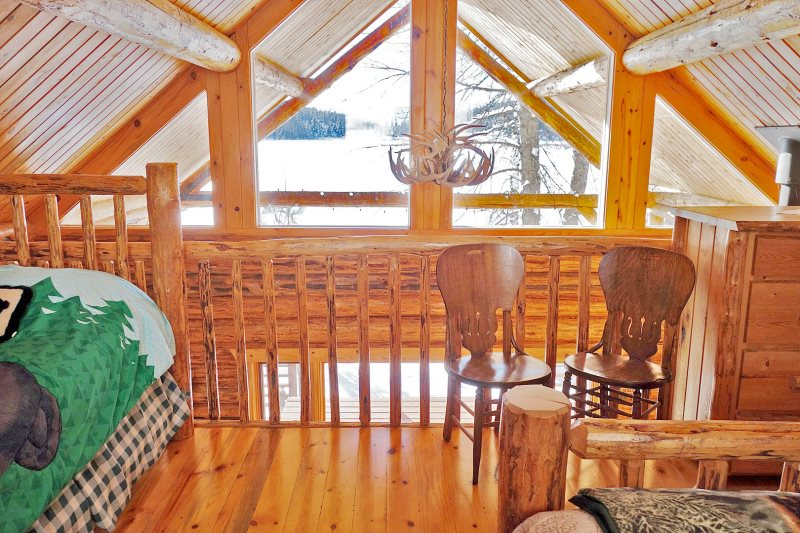 There is a full futon for additional sleeping, and a woodstove for cozy warmth. 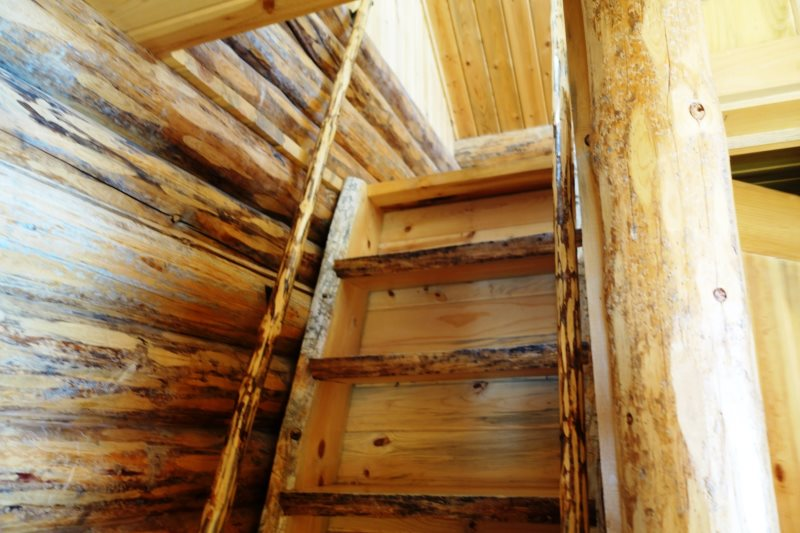 The loft is accessed by a ladder (only, no staircase), and the loft is open to below. 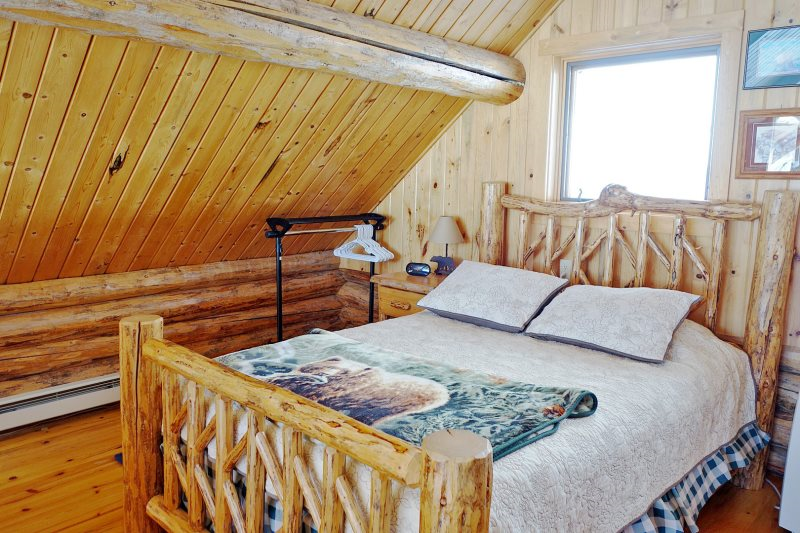 The loft has one queen bed and one twin bed. 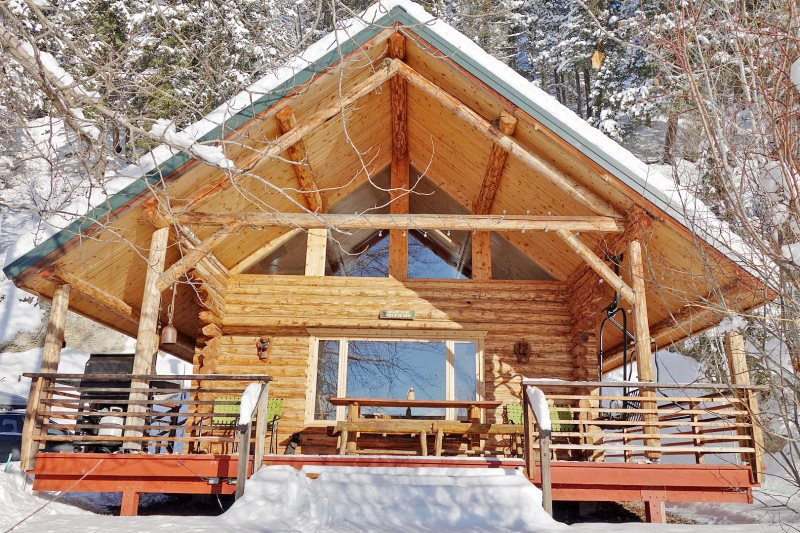 Internet and cable TV are not available at the cabin, allowing you to unplug, unwind, and spend time exploring our gorgeous northwest Montana location. 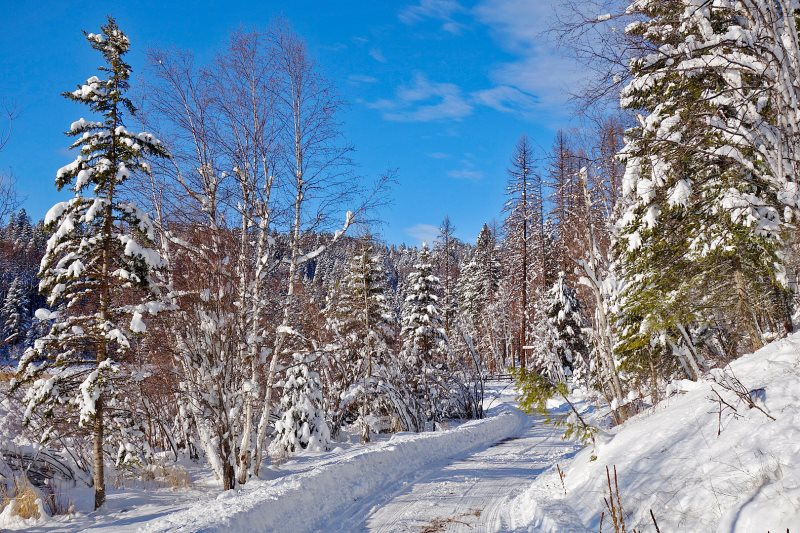 Cell service is available and free internet is available in town at several locations. 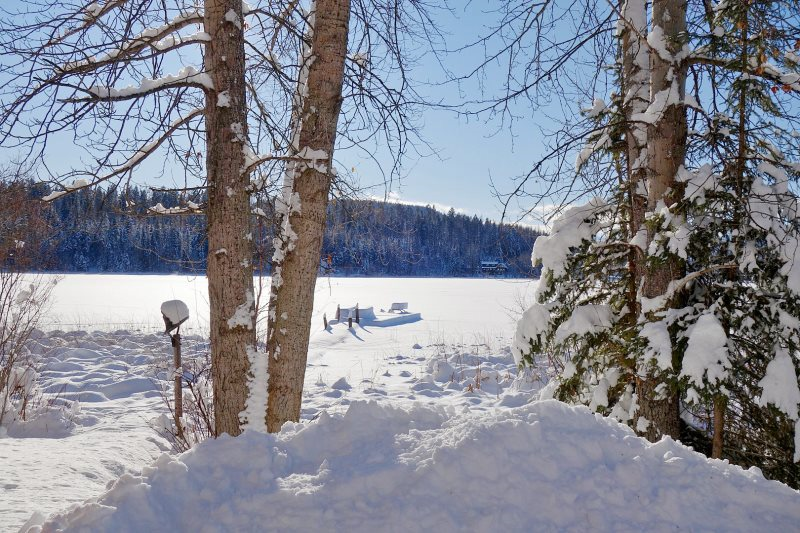 The charming town of Whitefish is four miles from the cabin offering a fine array of restaurants, shopping, two parks, tennis courts, a museum and two theater companies! May through September the Tuesday evening Farmer's Market is a must! All year long there is live music and lots of choices for a night cap. Whitefish Mountain Resort is seven miles from town with downhill skiing, snowboarding, snowshoeing and cross country skiing in winter, and mid June to mid September lots of summer activities including Walk in the Treetops, Zip Lines, mountain biking and hiking, and lift rides to the Summit House for majestic views and lunch! 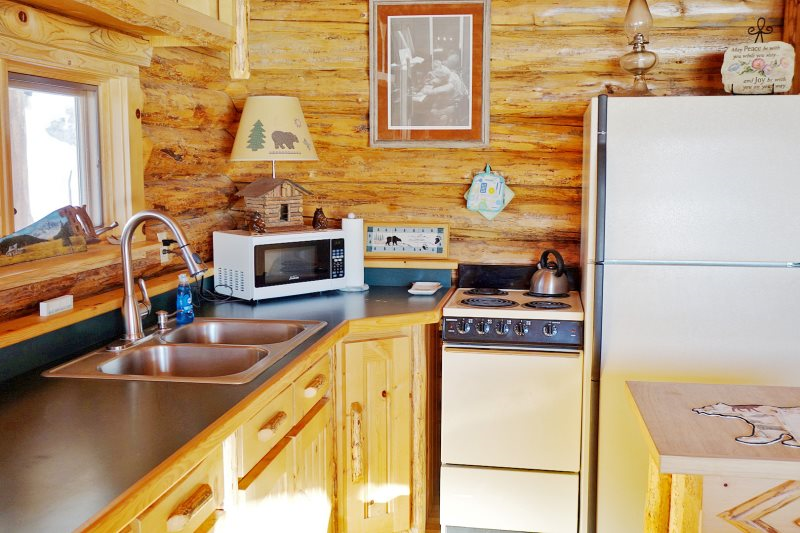 Seven miles from Whitefish, in Columbia Falls, you will find water slides, rivers for fishing, and more dining. 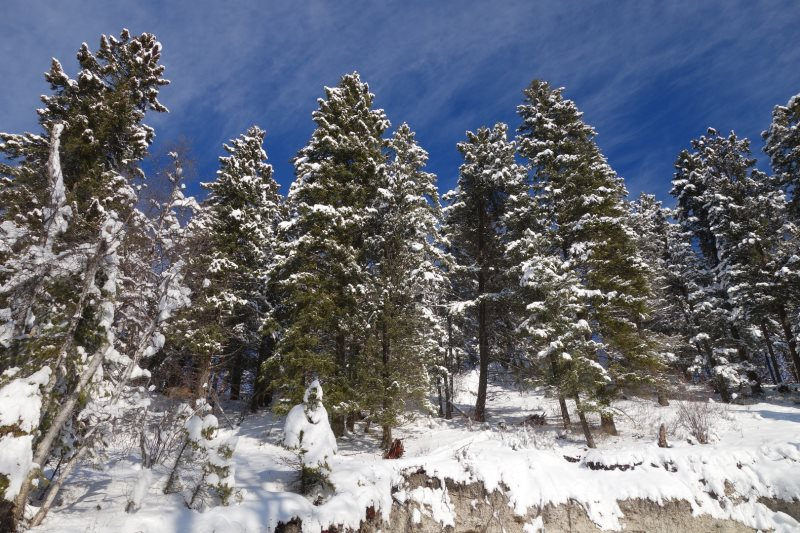 Kalispell, just a short drive too, offers big store shopping and a lovely downtown area, and Bigfork on Flathead Lake is a wonderful destination for art and lake activities. And the pinnacle of course, is Glacier National Park with all of its wonders, just 30 minutes or so drive to the west entrance. 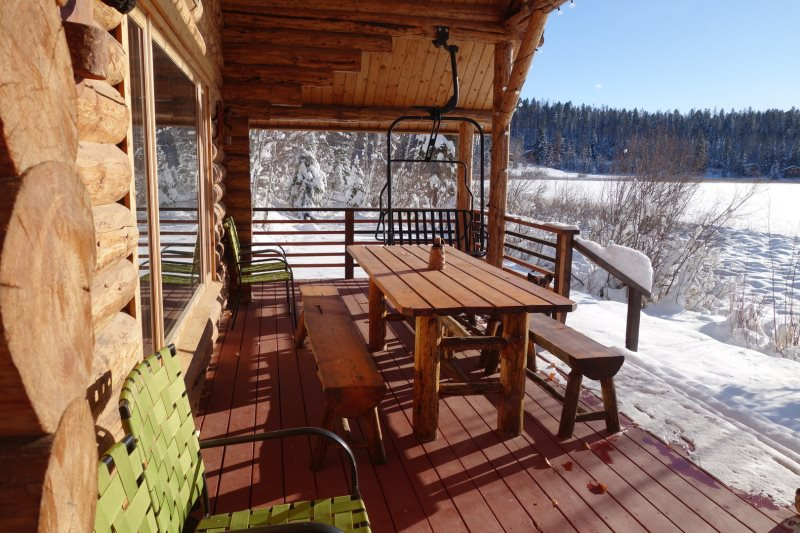 We look forward to helping you plan your stay at Bear Den Ranch! Let the adventure begin! !